Each rock piece in this step/planter arrangement weighs between 2000 and 4000 pounds. We used a large excavator to set each piece into a position that would look both "naturally occur- ring" and "functional". The use of perennials and woody landscape shrubs in the planter cavities soften the large expanse of rock. 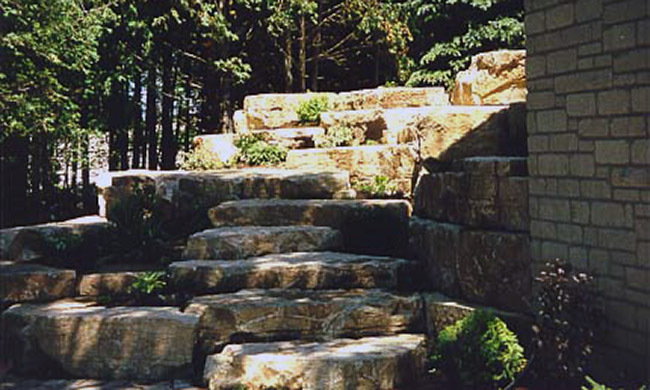 We used over 400 tons of rock in this project which includes retaining walls and a waterfall into a swimming pool.